To teach transportation vocabulary. Look for the flashcards with the same images as the worksheet to support vocab learning. Hope you like it. The above downloadable handout is best suited for high school students and adults at Elementary (A1) and Pre-intermediate (A2) level. 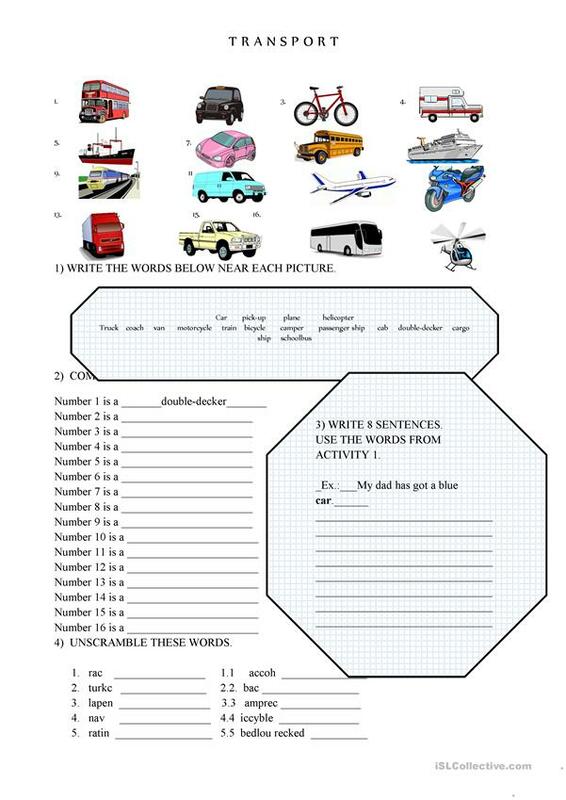 It can be used for enhancing your class' Reading and Writing skills. 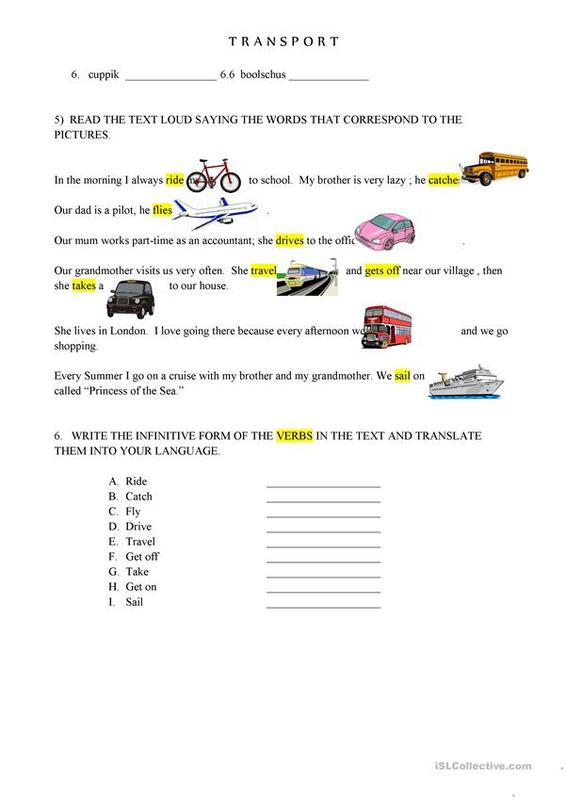 It focuses on the theme of Means of transport.